Three-quarters of people who have contacted Citizens Advice about the service they have received from lenders have grounds for an official complaint to the Financial Ombudsman, new research suggests. Analysis of the 665 payday loan cases reported to Citizens Advice’s consumer service between January and June this year shows that at least 76% could have legitimate grounds for an official complaint to the Ombudsman. A variety of reasons for dissatisfaction were cited by consumers, with the most common being problems with continuous payment authorities, including those demanding money that was not authorised to be taken. More worryingly, a fifth of complaints were potential fraud cases, where people were being chased for money they had not borrowed in the first place, while 12% of cases cited harassment, where lenders were pestering people via phone and text. It appears that the treatment of payday loans customers is not going unnoticed either as one in ten complaints made to Citizens Advice were about the unfair treatment of consumers by lenders. 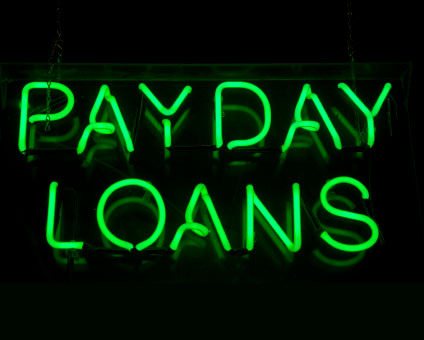 Although payday loans firms have been instructed to provide more clarity and fairness, it appears that this is not being heeded in many instances with four out of five people who contacted the charity saying that the lender did not tell them how to complain if they had a problem. Gillian Guy, chief executive of Citizens Advice, said the level of debt and hardship caused by some lenders is “absolutely scandalous” and leaves people powerless to do anything about it. “But consumers can fight back. If you are struggling to pay back the loan, Citizens Advice can help you sort out a reasonable repayment plan. And if you make a successful complaint to the Financial Ombudsman service, you could find you get a refund for an unauthorised payment or compensation for unfair treatment,” she added. In the last three months, 160 complaints have been referred to the Financial Ombudsman, three-quarters of which have been upheld in favour of the customer. In these cases, the lender is often ordered to rectify the situation and the consumer receives refunds on loan repayments, interest and default charges, as well as compensation for the inconvenience caused, in some instances. Ms Guy said that people who pursue action will help to name and shame lenders who are flouting the rules and make it easier for other consumers to follow in their footsteps, which will ultimately bring greater clarity and fairness to the market.